Photo by mandalaybus from the Torontoist Flickr Pool. Mental health is an ever-growing issue, especially at post-secondary institutions. A report released by the Ontario University & College Health Association in September [PDF] found that 65 per cent of students surveyed experienced overwhelming anxiety in the last year, up from 57 per cent in 2013. The report also found that 46 per cent of students have said to have felt so depressed in the previous year that it was difficult to function. While schools have implemented methods to ease student stress, and most schools take part in mental health awareness days such as Bell Let’s Talk, more needs to be done to help ensure students’ mental well-being. Here, we take a look at what post-secondary schools across the GTA are providing students in terms of mental health programs and events, on top of the existing counselling programs available on campuses. Ryerson announced in May that its 2016–2017 budget would include a funding increase for its mental health initiatives. This has allowed for Ryerson’s Centre for Student Development and Counselling to expand its mental health programs, increasing the number of appointments available with counsellors, as well as giving students more resources and methods of counselling, like new personalized care programs. The CSDC is also launching an online therapy tool called WellTrack that can create online modules for the treatment of depression and anxiety symptoms. Ryerson’s Student Affairs launched the ThriveRU program this year, which “offers a curriculum of events and programming designed to foster a better sense of preparedness and general well-being,” Ryerson media relations officer Lauren Clegg says in an email. A new wellness centre will also be opening on campus in early 2017. The facility will be a place where students can ask questions, access resources, and find general information about what the university provides in terms of mental well-being for its students. The centre will also be a place for support programs and more counselling services. In March of this year, U of T students’ coverage through their dental and health plans was expanded to include psychological care. The extra coverage began in September. The university provides wellness workshops including meditation, coping classes, and peer-sharing workshops. 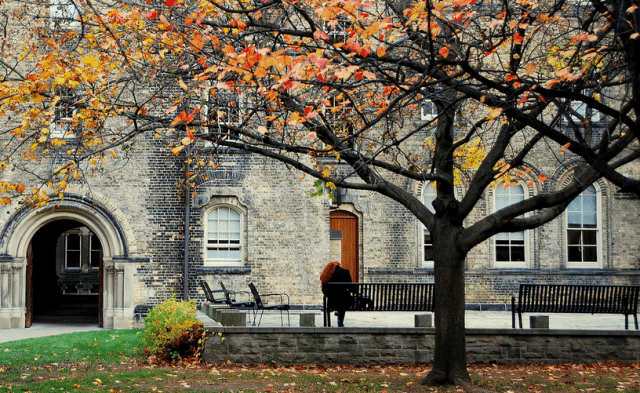 U of T’s Scarborough campus is already using the mental health assessment app WellTrack. That campus also offers the Flourish program, which guides students through the stress and anxiety of university while teaching them how to thrive during their time at school. The St. George campus hosts an annual Student Voices Project event which provides a safe space for students from all University of Toronto campuses to open discussions about mental health and mental health awareness. An event called Exam Jam is also held across all University of Toronto campuses near the end of the spring semester to help students de-stress during exam season. The event includes activities such as yoga and therapy dog sessions, as well as nap clinics. Image courtesy of U of T’s Flourish program. In mid-October, York University released a mental health strategy for its students. 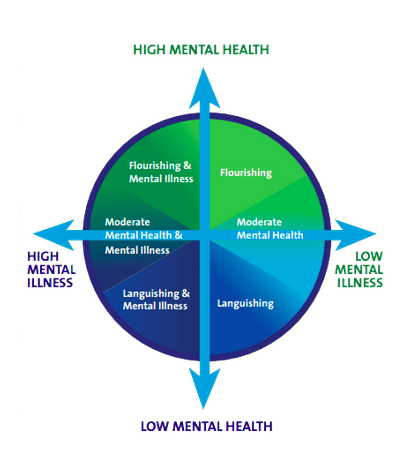 The strategy aims to provide a long-term plan towards the management of mental health challenges and improve accessibility and general well-being both on and off campus. The school has a health education and promotion team consisting of over 60 students who raise awareness about all types of health topics, including mental health, across campus. York has also held workshops for mindfulness and meditation sessions for mental well-being. In November, the York Federation of Students held a mental awareness week called Accept. Express. Support: A YFS Mental Health & Wellness Initiative. It included meditation workshops, discussion groups, art therapy, and crafting and colouring events. Image courtesy of York University. Stephanie Francis, a lead for the division of students’ mental health and wellness project, also says that York is preparing to launch an online mental health app to help students and support their mental health. Francis says the app will have modules that students can work through to monitor their levels of stress, depression, and anxiety. The exercises can be shared with their counsellors if they want more in-depth support. “I think most institutions have seen an increase in students who are needing additional supports when it comes to mental health and we are striving to meet that need and doing our best to support our students,” says Francis. Humber College held its annual mental health awareness week in early October. The event featured activities like yoga, art therapy sessions, and panel discussions, as well as a five-kilometre run on campus. Humber’s student-run organization, Ignite, provides students with the Student Lifeline, a resource that can be accessed via computer, telephone, or mobile app. 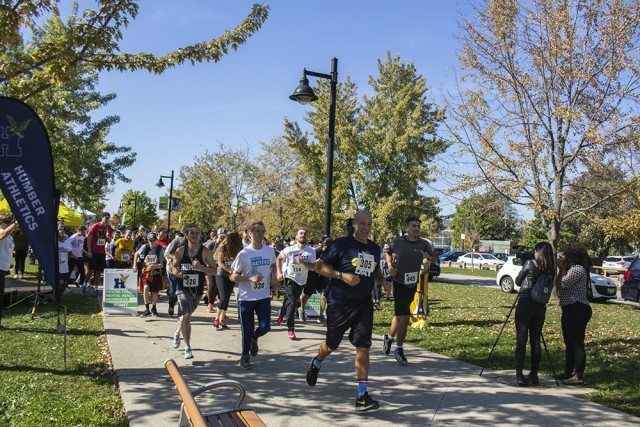 Many participated in Humber’s run to raise awareness about mental health this fall. Photo courtesy of Humber College. Lifeline is meant for students who may not be comfortable with meeting a counsellor physically but still need support. The resource provides short-term counselling and support and is available 24 hours a day, 365 days a year. The student group also hosted the Ignite Wellness Day in late November with art stations and snack stations to help students de-stress before the end of the semester. George Brown has hosted a mental health conference every year for the past 17 years. At this year’s conference held in April, the main theme was creating healthy, meaningful relationships and their importance to general well-being. Throughout the 2016–2017 school year, and for George Brown’s 18th annual conference to be held in spring 2017, the theme is resilience. George Brown also hosts student workshops on such topics as nutrition, stress, and other aspects of well-being that can affect mental health. The college is also looking to launch an online tool in early 2017 in partnership with Stella’s Place, a mental health centre that focuses on helping young adults. The tool would have peer support counselling, as well as ways to connect with George Brown counsellors online. Tenniel Rock, manager of counselling and student well-being, says that the school understands that not everyone can always visit a counsellor in person, and more programs are being made to help those students. “We’re looking at innovative ways that we can outreach to students who can’t even make it to the services,” Rock says. In November 2015, Seneca received a $300,000 donation from the RBC Foundation for mental health initiatives. Since then, Seneca held its inaugural RBC Mental Health Symposium in May, which offered panel discussions and networking opportunities and celebrated mental health advocates in the community. Seneca also joined the Lucas Fiorella Friendship Bench campaign, started after Fiorella, a post-secondary student, took his own life after suffering from depression. The school has installed four yellow benches across campus to raise awareness about mental health. David Johnston, senior manager at Seneca’s counselling services, says the initiative is a good way to raise awareness about mental health on campus. “[It’s] a physical reminder to encourage students to talk about mental health, to open up to one another to check in with one another,” he says. Seneca also holds workshops with Art with Impact, an organization that promotes mental health through art. People are encouraged to develop videos about mental health that create discussions about awareness and wellness. The college also holds anxiety workshops for stress, making friends, and other aspects of post-secondary school life. Johnston says the workshops provide a chance for students to come together and help each other. While Seneca has definitely seen an increase in programs and initiatives for mental health, there is still more to be done, he adds. “It doesn’t begin to meet the demand, and that becomes the issue,” says Johnston. Schools can also work together to help their students with mental health challenges. During the first week of October, several post-secondary schools in the GTA held an all-day event to raise awareness about mental health issues. Mindfest was an event organized through a collaboration between OCAD University, Ryerson University, and the University of Toronto. It included information sessions and a club night to show students at all campuses what was available for them in terms of mental well-being programs. If you are in crisis, or need someone to talk to, call Good2Talk, the post-secondary student helpline, at 1-866-925-5454. Correction, December 8, 1:03 p.m.: An earlier version of this article indicated David Johnston is a senior manager of counselling services at York. This has been corrected to reflect that he holds that position at Seneca. We regret the error.